This canopy top fits most 10'x20' canopy frames. Made with durable fabric and strong grommets for reliable tear resistance. 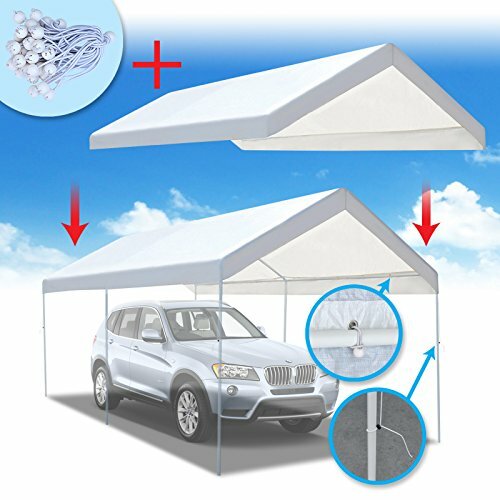 Secure to your existing shelter frame with bungees. Has grommet holes for tie down. Ball bungees included.